Mumbai: Actor Ranveer Singh is going all out to promote his upcoming flick Gully Boy that is set to hit screens on Valentine's Day, February 14. However, his usual energetic persona has Twitter seeing red. Turns out his recent promotional stint at the Lakme Fashion Week has left many of his fans injured. The actor plays a struggling rapper in Gully Boy and has been trying hard to fit the persona even during the promos including rapping a few numbers from the movie at the fashion week. 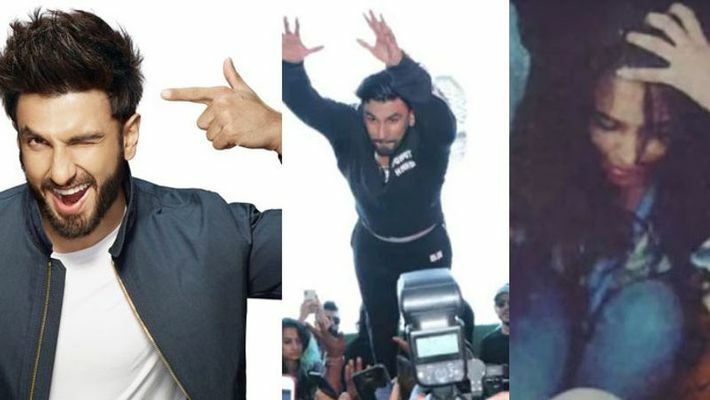 The act left some of his fans injured with the impact of his landing and also made the Twitterati erupt with angry messages asking Ranveer to show some maturity. Following this, the actor responded to a message by a well-meaning fan, assuring him that this will not happen again. However, he has not released any official statement about the same. Have you experienced the real Qawwali evening at Delhi's Hazrat Nizamuddin Dargah?